Has your roof been damaged in the recent storms? Contact us today for expert roof repairs. Our well established business invests in training and products so that our clients benefit from our knowledge and skills. All roofing works carried out to a professional quality. 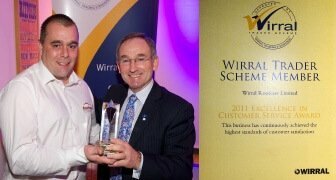 Wirral Roofcare is an award winning family run company. We have been roofing Wirral homes since the 1970′s. Wirral Roofcare, based in Wallasey, specialise in roofing and roof repairs. 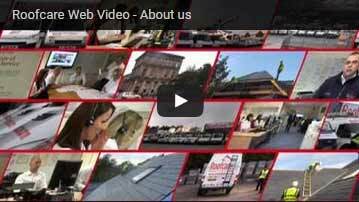 Originally covering only the Wirral and Cheshire area, Wirral Roofcare has since grown into a nationally recognised company with growing demand for their professional service throughout the United Kingdom. Employing only trained and qualified technicians and roofers. For over forty years, Wirral Roofcare based in Wallasey has been providing a unique roofing and roof repair service. We are continually raising the reputation of the roofing industry throughout the north-west of England and North Wales. Today, Roofcare delivers the highest standards of professionalism. We use the same professional approach on all our work. From the smallest private roof repair or and slate repairs to the largest commercial roofing contract. Roofcare repair, roofers and maintenance technicians have completed repairs and maintained over 25,000 properties across the Wirral and United Kingdom in the past 5 years alone. Work covers a wide range of services from single roof tile replacement, storm damage repair to complete maintenance contracts. Wirral Roofcare can offer a free survey. One of our qualified roofers will examine your property and you will receive a roof survey in the post. 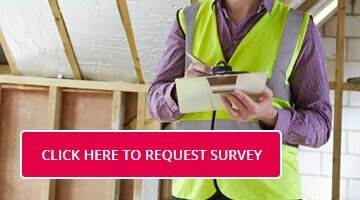 To see if you eligible for a free roof repair survey please complete the request a survey form. Our new roof coverings, backed by impressive guarantees, excellent technical support and low-maintenance solutions are value for money. Our roofing repair & maintenance technicians have completed the repairs to over twenty five thousand properties in the last five years. We constantly invest in new products and training, enabling ourselves to offer our clients the latest proven products and services.